Inveniam Capital Partners is transforming capital markets by undertaking a deal that is one of the first of its kind: a large, multi-offering placement of real financial instruments in tokenized form to be held in crypto wallets and sold via auction. The $260 million of transactions presents to the crypto and fiat investor offerings of four different projects: a Miami office building acquisition, a North Dakota water pipeline project, a student housing project, and a multi-family housing project in southwest Florida. This tokenized transaction offers an instrument that is backed by real assets and enables those owning significant amounts of cryptocurrency to reduce their exposure to crypto volatility while still supporting the ecosystem. The tokenized structuring ensures that the value of the token can be commuted from one party to another and stands in stark contrast to the one-off sales of real estate properties and vehicles that currently dominate the crypto market and offer little support to the ecosystem. Investors can transact in either cryptocurrency or fiat currency. The private placements will be conducted in accordance with SEC Rules 144a and 506c. Each token will represent $50,000, with a minimum round lot purchase of $500,000. All standard AML/KYC processes for Qualified Institutional Buyers and Qualified Purchasers will apply to these transactions. This retail center boasts 3 of the most successful internet and recession resistant national retailers as tenants. 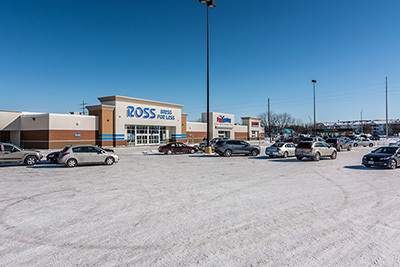 Center is 100% occupied with Ross Dress for Less, Harbor Freight Tools and PetSmart. An excellent investment opportunity with long term leases in place. Faith based multifamily & student housing project is located within an established Opportunity Zone and across the street from the main entrance of a major university. 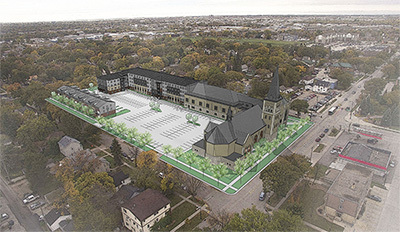 This project is also connected to a new St. Paul Newman Center and Cathedral.